I just started working with this newly released product from a new company, Tesseract, founded by the scientific driving force of Thorne nutraceuticals, Al Czap. “By overcoming the traditional limitations of bioavailability, Tesseract’s patented technology gives the medical community a critically important weapon to reliably and properly deliver nutrients throughout the complete gastro-intestinal system.” said Mr. Czap in a press release announcing the new product. The idea of a link between short chain fatty acids and autism gained traction in a 2006 scholarly article that has been cited over 200 times. The title, in part, “Possible role of short chain fatty acids on the pathogenesis and characteristics of autism spectrum disorders”. 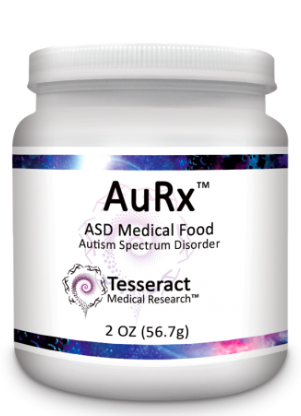 The rise of the ability to quickly scan the DNA of the gut microbiome as well as the research that led to this patented product shows that the cause and effect puzzle of Autism is starting to have an outline. Will this new medical food claimed as “Disruptive Medical Technology” get results? I am going to find out as my first order just arrived. I am glad Tesseract is offering their products on Natural Partners as I have a long standing relationship with them and they provide CA residents tax free shipping from AZ. You can get a free account to buy Tesseract, Thorne and other high quality nutraceuticals by registering with Natural Partners, there is a link on my Store page. 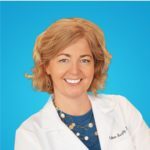 In health, Dr. Coleen Murphy ND, LAc. Hi, Can you please give more information after using this medication? Most of our autism treatments take place within a 360 degree treatment plan so it is hard to pinpoint how any one product or treatment works for ASD. Short chain fatty acids are an important research area for ASD and we believe this product addresses a critical component of gut health that is often very much needed for those on the spectrum, as well as anyone who should take butyrate but can’t stand the foul smell and aftertaste.